There are several design solutions that make us ask: is silence the ultimate luxury? If silence is a virtue then these boats could be the best superyachts afloat. The Wider 150 is the first superyacht from Wider and is capable of cruising without making any noise at all. According to a statement from the yard, the Wider 150 is the first superyacht to obtain a perfect score for levels of sound and vibration with RINA and the first to hold a class notation of COMF (Y) 100,100. 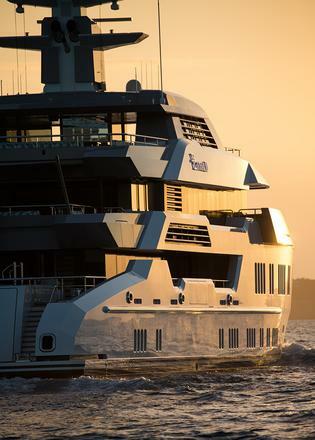 The 46 metre quiet Italian superyacht has an innovative diesel-electric power system that allows her to run exclusively off the power stored in the lithium polymer battery banks. This means that the Wider 150 is able to cruise along without the need for loud engines to be running. As Wider's founder and CEO Tilli Antonelli said during sea trials: "The most remarkable and memorable aspect was that she ran in total silence!" 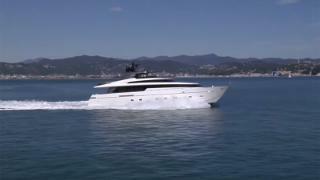 The Wider 150 is the first superyacht from Wider and is capable of cruising without making any noise at all. 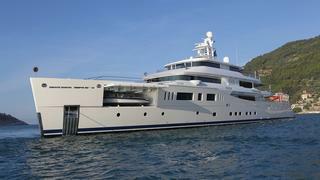 According to a statement from the yard, the Wider 150 is the first superyacht to obtain a perfect score for levels of sound and vibration with RINA and the first to hold a class notation of COMF (Y) 100,100. The 46 metre quiet Italian superyacht has an innovative diesel-electric power system that allows her to run exclusively off the power stored in the lithium polymer battery banks. This means that the Wider 150 is able to cruise along without the need for loud engines to be running. As Wider's founder and CEO Tilli Antonelli said during sea trials: "The most remarkable and memorable aspect was that she ran in total silence!" 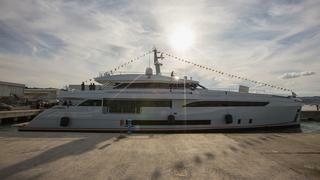 Sanlorenzo’s new hybrid superyacht, the SL106, is one of the quietest superyachts around. When she’s underway, the SL106 is incredibly quiet – even when guests are in the cabins below. The SL106 can cruise at 9 knots powered by her electric motors alone, sailing almost silently in her recent sea trials. 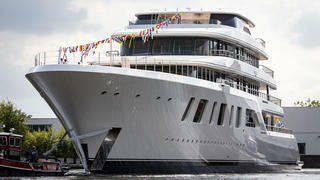 The 66 metre Okto is ISA's biggest launch and she is sublimely silent. Every detail has been thought about with silence in mind, even down to the rubber stoppers in the doors that create a soundproof seal when the door is closed. With music playing loudly in one room, close the door and the song is instantly muted. In fact, with no engine noise or vibration, if you didn't look out of the window you wouldn't even know you were underway. 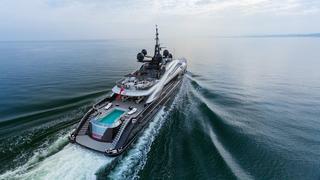 One of the most notable features of 66 metre Lürssen Ester III is the distinct lack of whooshing air-conditioning. Overly large yet subtle air outfalls in the cabins ensure there is no wind sound or cold draft. Ester III is high-tech and highly original; the noise level in the master suite is an unbelievably low 37.33 dB (A) thanks to extra insulation from the tender garage and helipad. One of the most notable features of 66 metre LürssenEster III is the distinct lack of whooshing air-conditioning. Overly large yet subtle air outfalls in the cabins ensure there is no wind sound or cold draft. Ester III is high-tech and highly original; the noise level in the master suite is an unbelievably low 37.33 dB (A) thanks to extra insulation from the tender garage and helipad. Not only are diesel-electric, azipod propelled yachts more efficient; they are also remarkably quiet. With 73 metre Grace E cruising at 14 knots sound levels are quieter than that of light conversation (50 dB), measuring 45.5 dB in the saloon and just 42.6 dB in the master suite. The Perini Navi - Picchiotti built superyacht Grace E may have the ultimate sundeck spa, but it is the serene environment on board that earns her a spot on this list. Excellent insulation and an underwater release system for the exhaust also help to keep noise to a minimum. 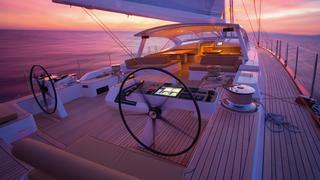 The 35.5 metre sailing yacht_ Doryan _is a carbon yacht with a difference. Carbon yachts may be great for weight saving but normally they are pretty noisy. In this case the designers have used three tonnes worth of noise suppression measures to keep the noise down. Don't worry though, even with the extra weight she is still considerably lighter than if she had an aluminium hull. Baltic's super car inspired sailing yacht also has a bank of lithium batteries. The stored power provides up to 10 hours of relaxing in an anchorage with no noisy generator to spoil the peace and quiet.